Ajapai is easily one of the sickest dubstep producers on the scene. Hailing from Tokyo, Japan, the music he conjures up is like no other- a constant barrage of unique noises tailored to be a pure assault of the senses right from the get go. His first dubstep release ‘What do you hear?’ hit #3 on the Beatport charts and put him firmly on the map as a force to be reckoned with. It wasn’t long before he joined the growing stable of talent on Rottun Recordings. 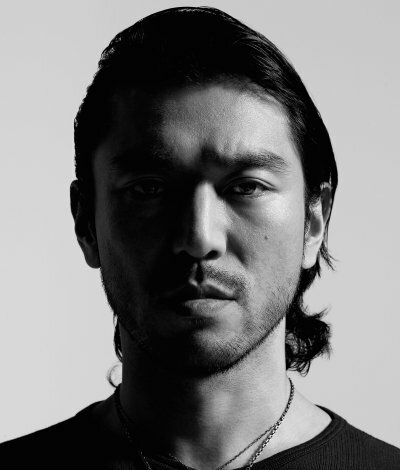 He also started up his own label, Ajapai Entertainment, which has numerous successes including a remix of “Incoming” ended up getting #1 on Beatports drum n bass chart. It even went on to secure a Beatport Annual award, which is testament to the fact that this man means business. Ajapai’s EP’s on Rottun have absolutely floored audiences all over the world and have charted amazingly well, consistently landing in the top 3 on the dubstep charts. His latest release “Before The Sun” with Excision and Downlink hit No.1 on that chart. Over the last couple of years Ajapai has toured internationally in Europe, Canada, and America. The completely and utter destruction he releases on dance floors can only be understood by witnessing his DJ sets live for yourself. With a style like no other and a commitment to quality, it is guaranteed that the only direction for Ajapai to go is straight up!! !